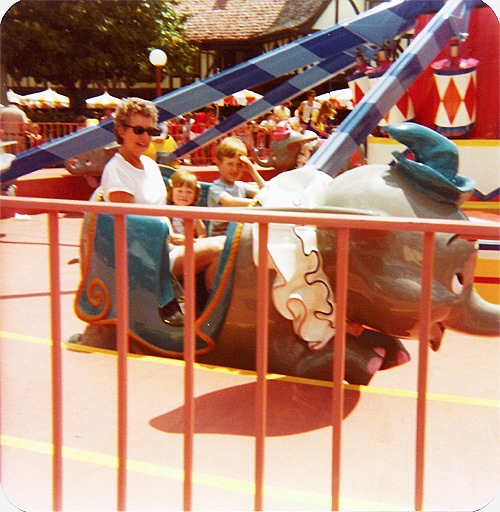 Theme Park Thursdays feature photos from one of our theme park adventures in the past. You never get any benefits when you are small… unless you ride Snow White's Scary Adventures, because then you can enter first! Of course, the real purpose here is to prevent you from falling out of the ride and dying, so I guess that's a good thing. It won't matter much soon, anyway, as this ride is slated to be removed as part of the New Fantasyland Expansion at Walt Disney's World's Magic Kingdom. Of interest is that in the coming few months, Walt Disney World's Dumbo ride will shut down… and be moved into a new location as part of the New Fantasyland Expansion. In the new "Storybook Circus" area, there will actually be two Dumbo rides, configured in a dueling format and integrated into a new interactive queue. While viewing this photo, it's interesting to note just how barren the ride looks. Lots of concrete and carnival-like elements. Not a whole lot of theme. Then again, it's just a spinning ride with elephants! 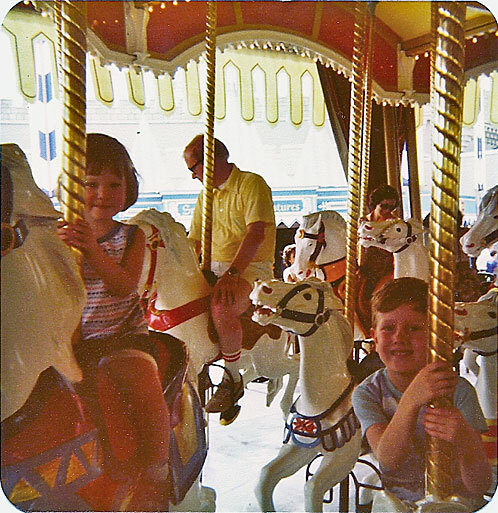 We're back in 1979 to check up on 3½-year-old Amy riding Cinderella's Golden Carrousel with her brother Greg in Fantasyland. You may recall that Amy has issues with her brother in theme parks, thus it's probably a good idea that these two are somewhat separated for this photo. In the background you can see Snow White's Adventures, which opened with the Magic Kingdom in 1971, renamed to "Snow White's Scary Adventures" in 1994, and slated to close soon thanks to the Fantasyland Expansion project. In its place? A meet-and-greet area called "Princess Fairytale Hall". Gag. Incidentally, the carousel that Amy & Greg are riding was also recently renamed to Prince Charming Regal Carrousel; apparently boys will feel more welcome to ride it now, even though nothing else has actually changed. 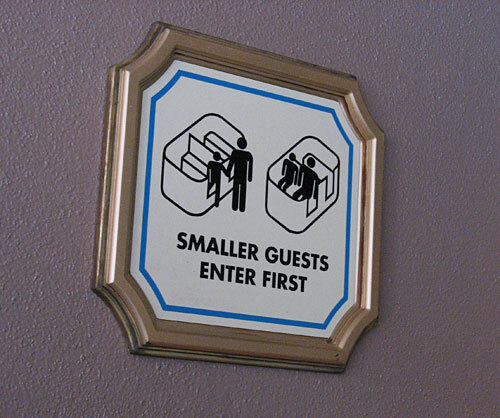 Sometimes, you just have to question those marketing bozos at Disney.